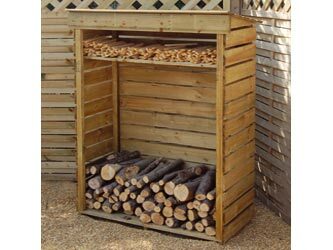 A Log Store is all that's needed to stack the winter logs, keeping them dry, aired and tidy, providing seasoned logs ahead of the cold months. They are constructed with a sloping roof to keep the rain off and slatted sides for good air circulation. Included is a shelf for small items such as kindling.